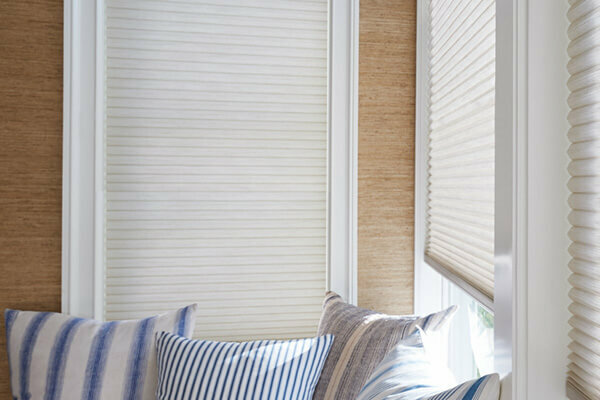 Add energy efficient beauty to your windows with the original cellular shades - Duette® Honeycomb Shades by Hunter Douglas. Widths Horiz. 4" - 144" | Vert. 12" - 320"
Heights Horiz. 6" - 144" | Vert. 24" - 120"
Ideal for both warmer and colder climates, cellular honeycomb shades can lower your energy bills and overall energy consumption. Their honeycomb-shaped construction traps air inside pockets, which effectively serves as added insulation at your windows. 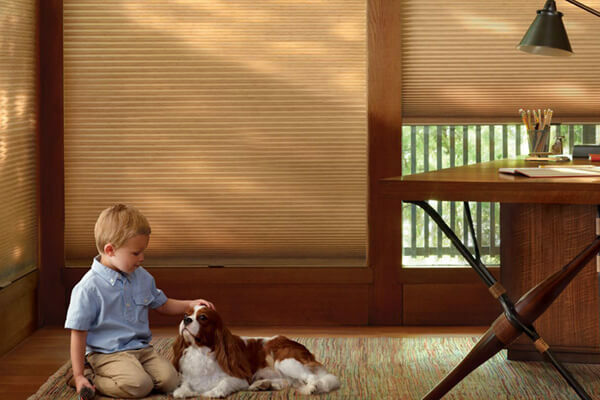 Duette® shades can be customized to your heart's content, including an expansive list of fabrics, opacities, textures, pleat sizes, and colors to choose from. 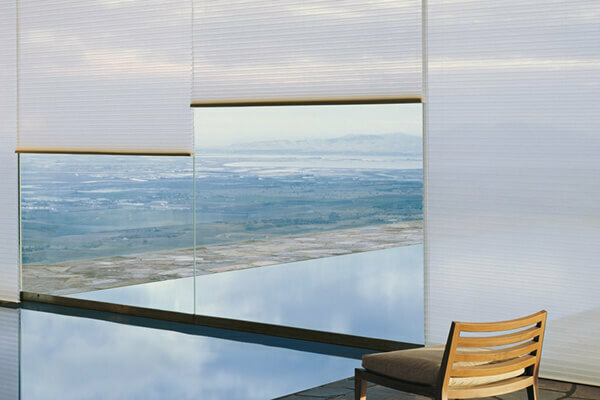 Also, with several different operating systems available, Duette® cellular shades can serve as a great addition to any window or skylight in your home - including specialty shapes!